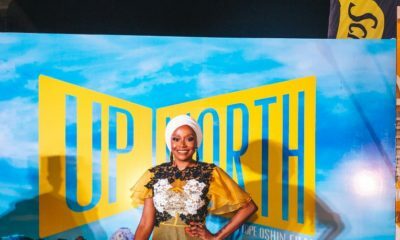 Meet the official latest celeb couple in town! 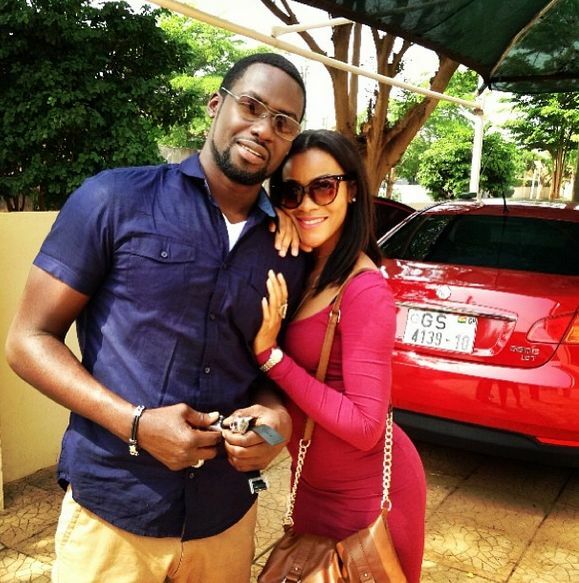 Damilola Adegbite and Chris Attoh who were actors on M-Net‘s hit series – Tinsel are a couple. First of all we apologize for not delivering lots of tissue paper to the ladies to dry the tears off their faces as the news breaks. Yeah Chris is taken. And for the gents who loved and still love Damilola, awww. Twuz just a matter of time…..on screen romance nearly always becomes off screen romance! Good luck to dem! Tinsel!! Still churning out real life love stories! Nice. They look good together. i thought as much with the roles they play. look cute together. I can’t understand people like you…. Excuse her for not having a washboard stomach! And while you’re at it, forgive her for having a bulge… What’s with the pregnancy questions thrown at EVERY FEMALE IN THE PUBLIC EYE WHO DONS A BODYCON OUTFIT AND ISNT A SIZE 00????? Gosh, get your eyes off her midriff and focus on yours…wow! i hope you understand people now. Yes she’s pregnant. Sweet! I love them. But Dami pls call him Chris biko, Nii is a wife beater à la Shuga 3 lol! What a gorgeous couple! Wife her already now Chris will you..
Chris is more of a bachelor than husband type……….watch and see. Dami don’t waste your time o…..
Dami is such a pretty girl, cute couple! Interesting that she chooses to refer to him by his unsavory character’s name in Shuga!!! To you @ @sexxie, i wonder if you ever thought Nii could be a pet name common in ghana that Dami also uses since he’s Ghanaian? His middle name is Nii Odoi. Yaaaaaaay!Happy for them oo.lol @ fountain of paper’s comment. BN I’m getting tired of taking my time to comment on your blog and not seeing my comments. It keeps happening. Or is it because I said they’ve been dating for a long while now? Haba! I don’t understand o! how about you just stop commenting! I don’t think that was a nice reply. The comment box is there for a reason – BN wants us to comment. It’s frustrating really to type comments and not see them. Especially when they are not offensive comments. Nii is actually his name .. In Ghana in addition to the christian name (Chris) day names or house/local names are also given.. I guess its coincidence that his character was also given that name. Oh really? Now I know. Many thanks. Nii is a Ghanaian name. This babe is smart sha. She strategically lay a trap and all the blogs jumped on it. Its like when celebs need attention these days, they just place stuff on their ig. I like Damilola she has this refreshing vibe to her like I dn’t know she seems down to earth,pretty,can act too from what I’ve seen in 6hourstil’, all the best lovebirds. Oh how lovely such nice news to break us swiftly into the new year. Congrats guys LOVE IS a beautiful thing! 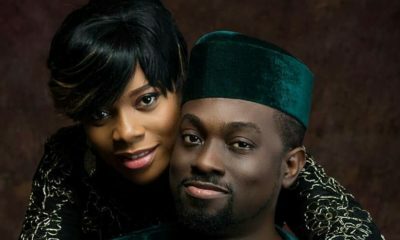 dey both look good togeda..pray it lasts.. They make a physically beautiful couple. hahaha… no!!! they are cousins. Chris’s dad and Michelle’s dad are brothers.